When the coil current ‘i’ rise from zero in positive directions a B-H curve ‘oa’ is obtained. where Bm is the maximum flux density reached point ‘a ’ due to magnetic saturation. 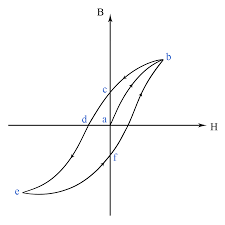 When the current decreases from +im to zero in the positive direction a different B-H curve ‘ab’ is obtained at point ‘b’, current and field strength H is zero but the flux and flux density Bare still present in the core material. The flux density ‘ab’ is obtained. At point ‘b’, current and field strength H are zero but the flux and flux density B is still present in the core material. 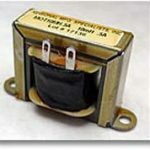 The flux density ‘ob’ available in the magnetic material is known as the remnant flux density. This property of maintaining magnetism in the absence of field strength H is known as the retentively. 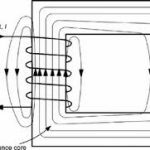 The flux corresponding to the remanent flux density is known as the residual flux or residual magnetism. it is retained in the martial after switching off the supply. 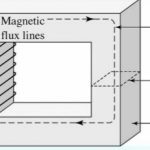 If the maximum magnetization reaches saturation, then the corresponding remnant flux density is known as the remanence of the magnetic material. 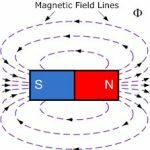 this legging of the magnetism behind the field strength is known as the magnetic hysteresis.